Our 10 years just happens to fall on the same day as Memorial Day. This means that all CrossFit TNT’ers get together to do the Hero WOD MURPH. Immediately following, we will hang out, BBQ, drink and celebrate our 10 years together! After that, who ever would like to join is invited to swim and hang out with us at Blanchette Park Aquatic pool. 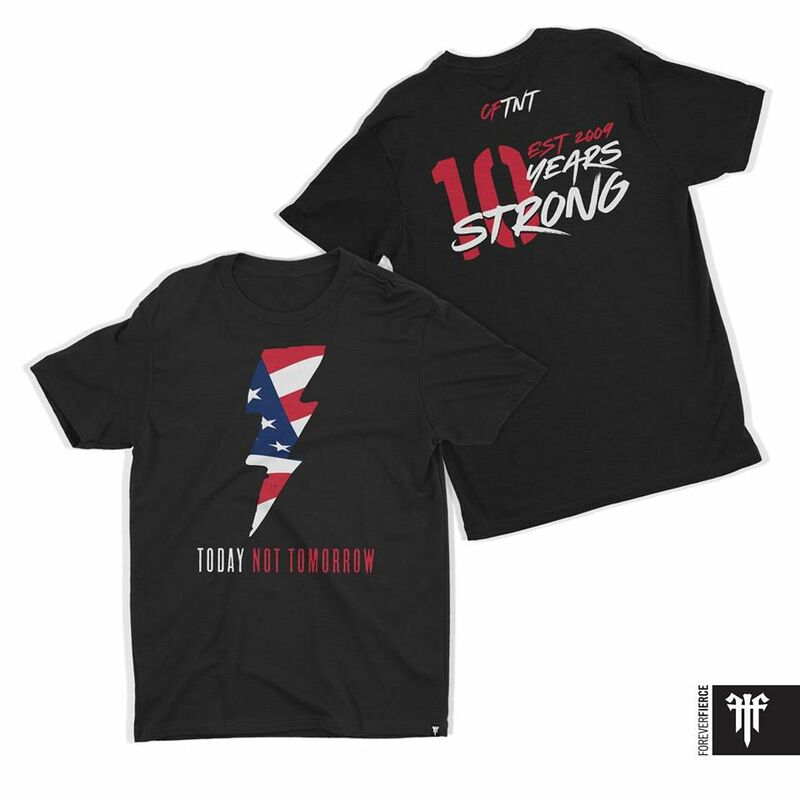 In order to celebrate the right way, we have the coolest 10 years strong apparel available for pre- order only! This will be the ONLY time to grab one. 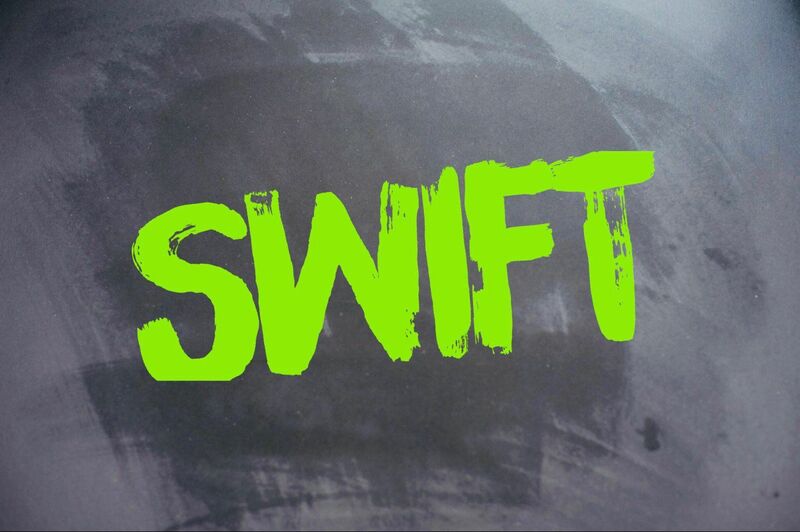 Remember: we’re ordering a very limited amount of extras- if any at all. Use this link to reserve yours today! 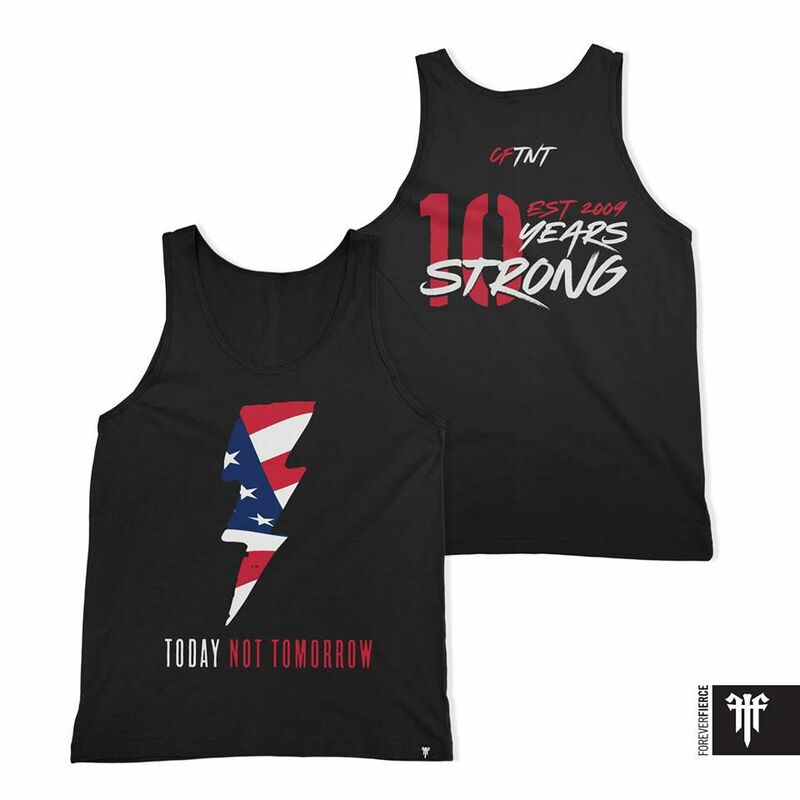 All shirts and tanks are $25 + tax each. Not sure your size? Not a problem? We have sizing samples at the pro- shop for you to try on and see. 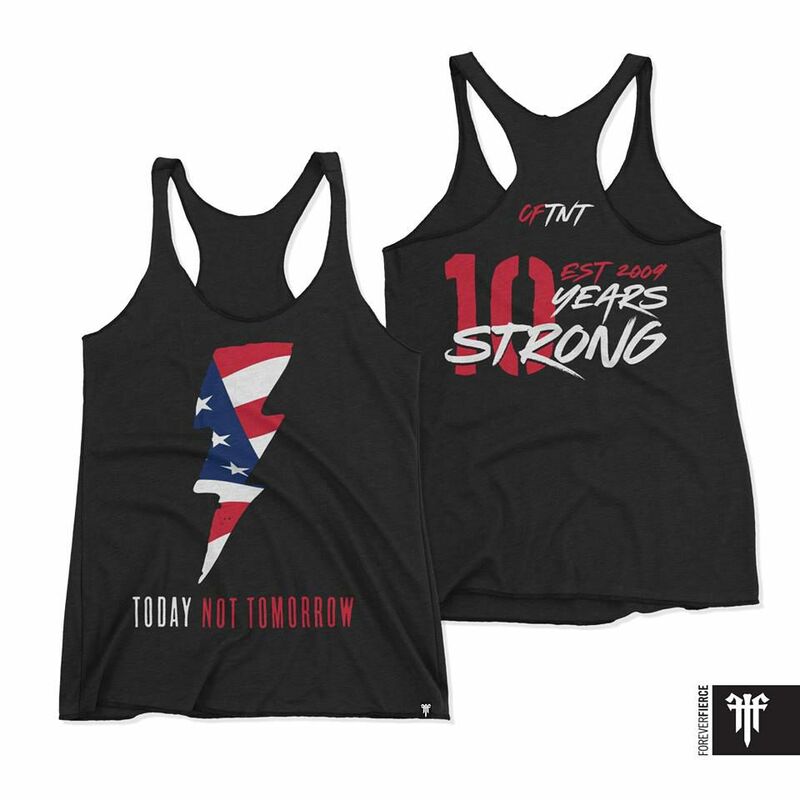 This pre- order link is only open for the next 7 days (closes on Tuesday April 16th at midnight), so don’t forget to click on the link now to order your apparel in time to wear it for our 10 year celebration/Murph WOD. TNT won’t charge you until the pre-order is closed.